Tickets are $10 or free and include donuts and refreshments! Details on the venue, accessibility, food, and goodies. Arrive, socialize, eat tasty donuts and snacks! Meet people and eat more donuts! Okta is sponsoring our video recording and production. Okta adds authentication, authorization, and user management to your web or mobile app within minutes. Let Okta's API handle user registration, password reset, multi-factor authentication, social login, groups and permissions, and even syncing with existing user databases. Notion provides us with a free team account to make it easier to organize Donut.js! 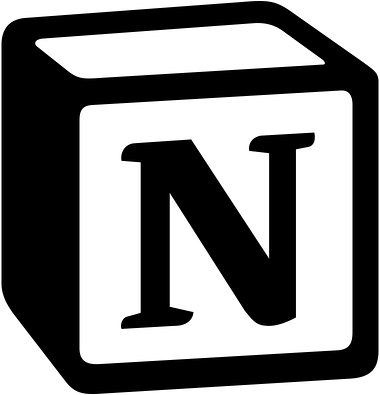 Notion is the all-in-one workspace for your notes, tasks, wikis, and databases. Donut.js occurs on the last Tuesday of most months! Donut.js may happen on a different day if the last Tuesday conflicts with a holiday. There is no Donut.js in December. Here’s a Twitter Moment with a bunch of great tweets and photos from our most recent event! Want to speak at Donut.js? We’re accepting proposals here! Your talk can be about anything in the wide world of tech and the people, culture, and creativity therein. You don’t need to be an expert to speak, and you don’t need to have given a talk before! All participants are expected to follow the Donut.js Code of Conduct. We take this seriously and, by attending Donut.js, you agree to do the same. Learn more about helping out at Donut.js. If you’d like to get involved, email us or message us at @donutjs us on Twitter! Subscribe to be notified about our events. We’ll send two reminder emails a month, and if you attend, we’ll also send a day-of ‘what to expect’ email and a follow-up email asking for your feedback. Donut.js is proud to be an associated project of Stumptown Syndicate, a nonprofit that aims to cultivate a resilient and sustainable ecosystem of diverse and inclusive technology communities in Portland, OR and the wider Pacific Northwest. Stumptown Syndicate is also our fiscal sponsor, handling our financial matters and other operational details. Thank you for joining us. You’re great.